Xiaomi might still sound a bit foreign to you, but the Chinese smartphone manufacturer is now the third largest in the world and the largest in China. And the company is largely building its market share by offering a cheaper alternative to the likes of Apple. The latest smartphone it’s working on sent ripples around the industry following reports it would retail at just US$65 (about R700). 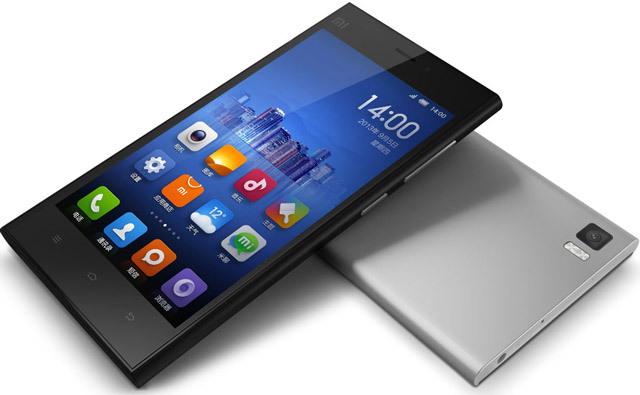 Xiaomi’s current low-end model, the Redmi 1S, offers similar technical specifications and costs about $150. These low prices are achieved thanks to a business plan where they sell a specific model for a longer period of time than competitors. By selling the same model for 18 months (as opposed to the usual six), they have more flexibility with profits and the ability to make money from selling accessories for a longer period. Alongside Xiaomi’s low overheads — due to their not owning any physical stores or engaging in traditional advertising — this means that phones can be sold at an almost bill-of-material price. As a result, Xiaomi has been gaining market share since its launch in 2011. In 2013, it sold 18,7m smartphones; in the first half of 2014 alone, it sold 26,1m. Add to this its modelling of itself and its products on Apple and the Xiaomi phenomenon becomes an irresistible object of speculation across the smartphone industry. But can this homegrown Chinese brand, which prides itself on its cheapness, knock Apple off the top spot? 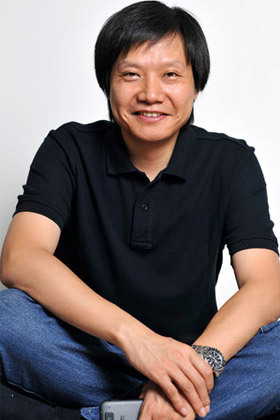 Xiaomi’s CEO, Lei Jun, appears to actively cultivate the iconic Steve Jobs image, complete with jeans and dark shirts. And, during product unveiling conferences, he has even copied Apple’s “one more thing …” slide. There is also no disputing the fact that the products look very similar to Apple products. But Xiaomi maintains that its principles differ from those of Apple as it sells all its products online, has no partners or third-party distributors, and gives customers the ability to customise software. Perhaps more important to understand is the Chinese attitude towards new products that often does not draw the same lines between “innovation” and “copying” as Western legal systems would dictate. Shanzhai is Chinese for “fake”. It’s a cultural phenomenon in China where fake brands play on existing (generally Western) famous ones — from “Dolce and Banana” t-shirts to tourist villages perfectly mimicking the Eiffel Tower or the Coliseum. Shanzhai is often not seen as copying, but as admiring and even improving upon, and is hugely popular amongst Chinese youth. This is sometimes due to its ability to provide products not dissimilar to their favourite Western brands, but often as a politic statement in its own right. Xiaomi, in paying tribute to Apple in its design, may well tap into the feeling around shanzhai as an alternative to the West. Despite the 70 years that have passed since the National Products Movement of the 1930s, nationalistic sentiment is not uncommon among pockets of Chinese youth and a more generalised low-key nationalism and support for Chinese brands is never far away. In fact, Xiaomi’s ability to speak to a specifically Chinese customer base may well make its affordability less problematic for those consumers seeking conspicuously expensive Western brands such as Apple. Xiaomi (小米) is the Chinese word for “millet” — and CEO Jun has previously linked the “Xiao” part of the word (Chinese for “small”) to the Buddhist concept that a single grain of rice is as great as a mountain, suggesting Xiaomi sees value in working from small things. This strikes a very similar chord to the “shrimps not whales” philosophy of another of China’s business stars, Jack Ma, the founder of Alibaba. Both have huge resonances with the Mao-era emphasis on small parts — the people as the “trusty screws” of the Party machine. It is entirely fitting therefore that Xiaomi’s mascot is a bunny wearing a ushanka-hat, which in China is associated with the Communist and people’s hero, Lei Feng. He epitomises the idea of the “trusty little screw” and Xiaomi are not the first company to use him to tap into popular sentiment in the Chinese domestic market. It is difficult not to feel though, that this branding is more appealing to the new rural consumers of smartphones in China than the better-off, upwardly mobile ones in the urbanised coastal provinces. Due to the cheapness of phones compared to computers, Internet use on smartphones is a rapidly increasing phenomenon in rural provinces where the typically more traditional citizens feel greater affinity with references to “millet” and Lei Feng. But perhaps Xiaomi’s plan is, like Mao, to consciously build its revolutionary base among the rural masses before wholeheartedly attempting to win market share amongst the urban proletariat. If this is the case, Apple will certainly have tough competition on its hands. Which language is called Chinese? Looks more Lumia than iPhone…..